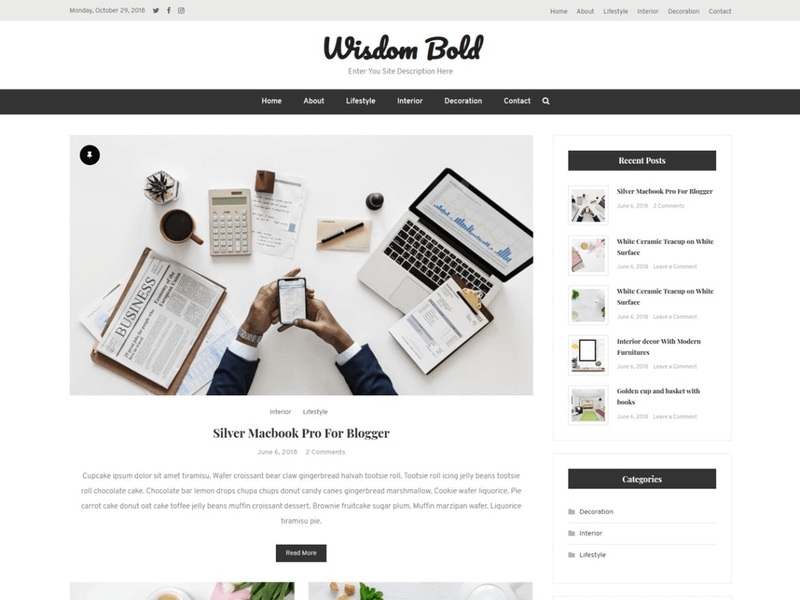 Wisdom Bold is the child theme of Wisdom Blog which is Clean and Personal Blog Theme from CodeVibrant! Fully responsive design displays beautifully across desktop, mobile, and all devices. Easy installation allows you to start post blogs immediately after the activation. Theme supported Customizer which allows you to customize and change the design of your blog. Perfect choice for your personal blog, corporate blog, marketing blog, authority blog or any type of creative blog.